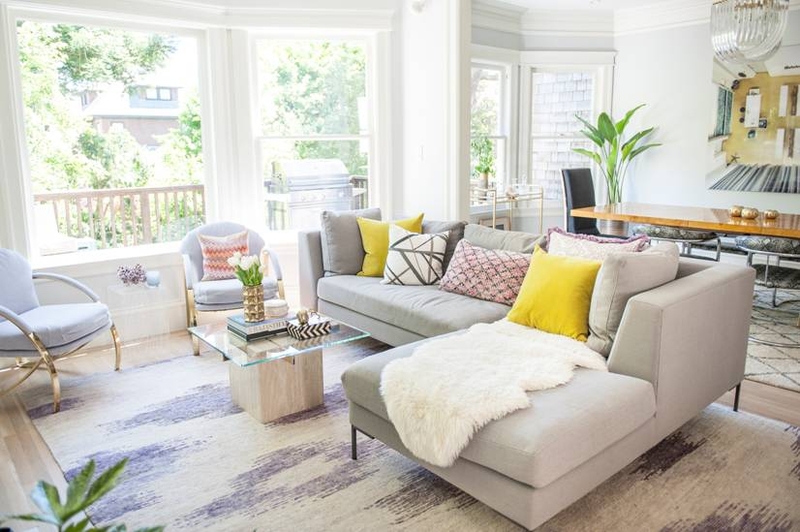 Picture this: a San Francisco edwardian home designed in the early 1990's—taupe walls, dark wood floors, brown cabinets, a few nice pieces of furniture but not cohesive and a bit dated. We all know the look and, of course, you know Decorist loves a good makeover—especially when it involves multiple rooms in a house! We were thrilled to take on a major design project for a young family who had recently embarked on a home renovation. 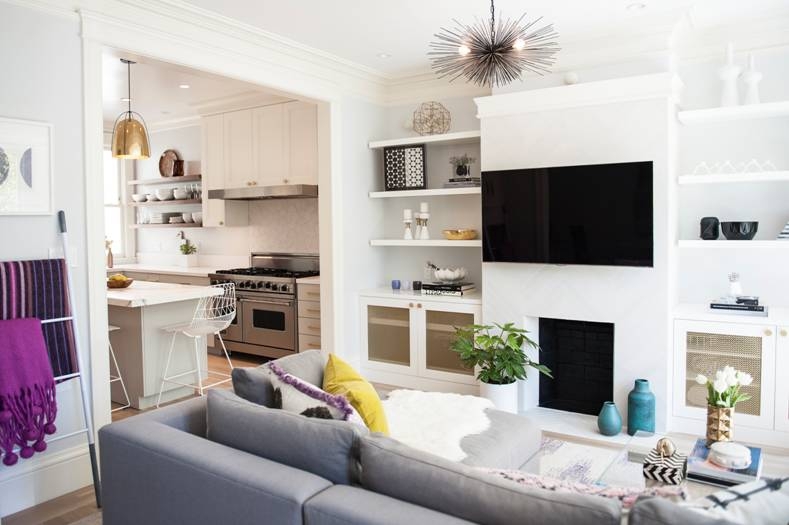 With busy jobs, two active kids, a dog and a brand new puppy they wanted to do the interior design process online—within their style and budget—while bringing that high-end curated, professional look to their home. 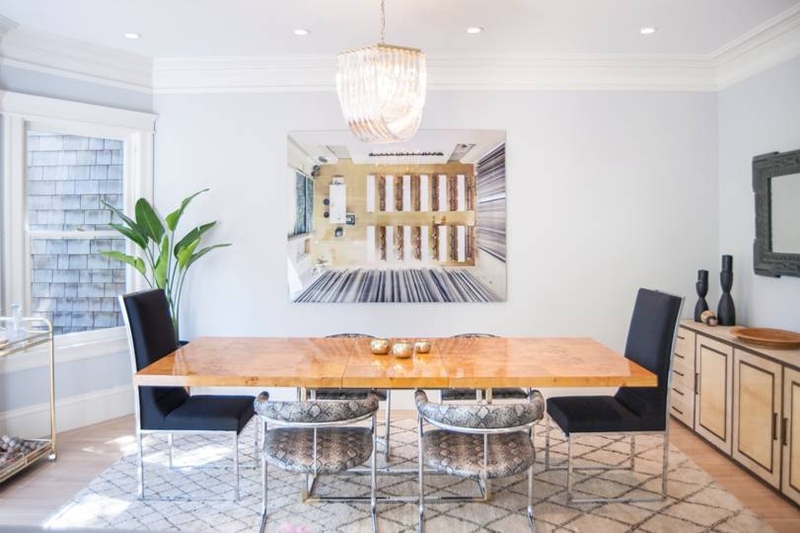 The homeowner, Lisa H., wanted to do the design on her schedule and work with designers whose aesthetics she loved—Simone Howell and MAS Design. Lisa had a pretty clear vision for what she wanted and really liked to be involved in the design process. But given that this was a big project she wanted input and advice of a professional designer to validate her thinking and suggest things she might never have considered on her own. Lisa shared Pinterest boards and other visual hints along with 24/7 designer messaging. As you will see, the collaboration between Lisa and her Decorist designers unlocked that earthy-glam look that was her vision all along. 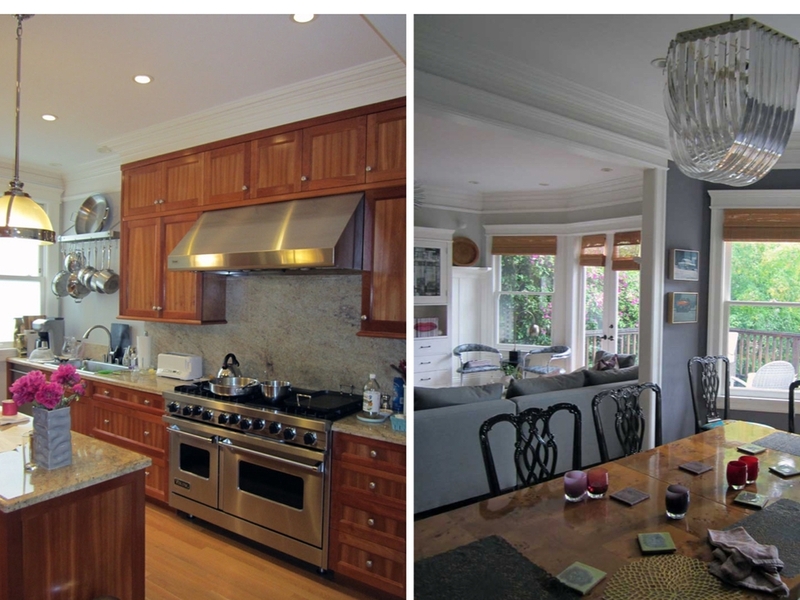 Right before Lisa kicked off the renovation project, she purchased an Elite makeover with MAS Design for the kitchen. Lisa had a sense for the direction she wanted to take, but knew that they spent a lot more time thinking about kitchens than she did and thought it would be helpful to get a fresh, informed perspective on aesthetic elements like cabinetry style, paint colors, finishes, etc. 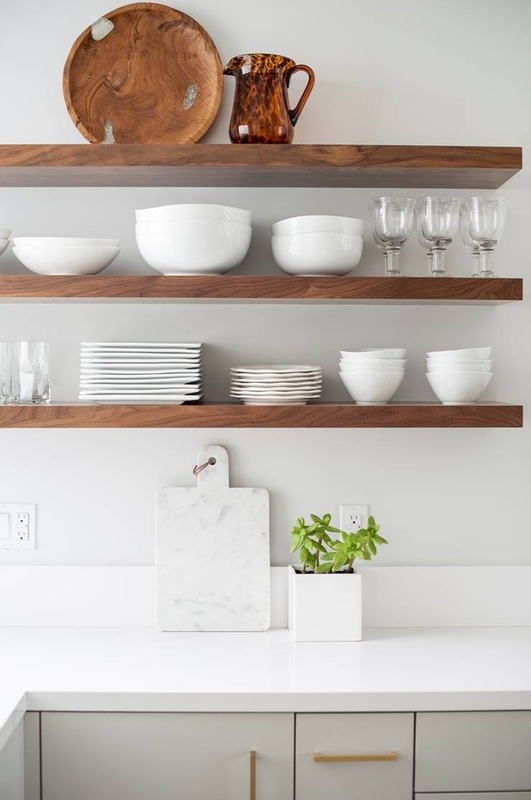 The light airy feeling with the open shelving, beautiful polished pendants from Rejuvenation, and the marble counter tops are some of Lisa's favorite features of the new kitchen. Gutting an old unused bathroom across from the kitchen and turning it into a pantry/wet-bar was a major upgrade in terms of functionality and storage. The new space features a wine fridge, lots of shelving and design cues from the kitchen. And the water colored wallpaper doubles as swoonworthy art. For the other rooms Lisa chose Elite designer Simone Howell who has a gift for scouting out fabulous and surprisingly affordable vintage pieces. In each room Lisa had a few big pieces already in place, but needed help pulling it all together and importantly, making the two rooms work together as well as with the kitchen. Simone sourced all of the fabulous vintage pieces, from the Milo Baughman chairs (a serious find on Etsy), to the travertine and brass coffee table in the living room. 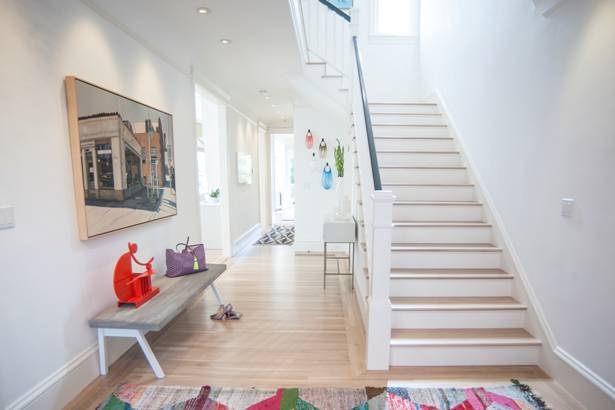 A mix of modern furniture and art pieces along with global influences found in the rug is the hallmark of the new entryway. It's an inviting space that helps set the tone and feel for the rest of the house. In Lisa's word, "Doing a design project with Decorist opens up a whole world of designers and products that would be hard to find locally. Some of my best vintage scores Simone found on platforms like Etsy and Ebay. The kitchen stools, for example, are from Bend Design in Los Angeles. The ikat velvet fabric on the back of the dining room chairs came from an Etsy seller in Istanbul. 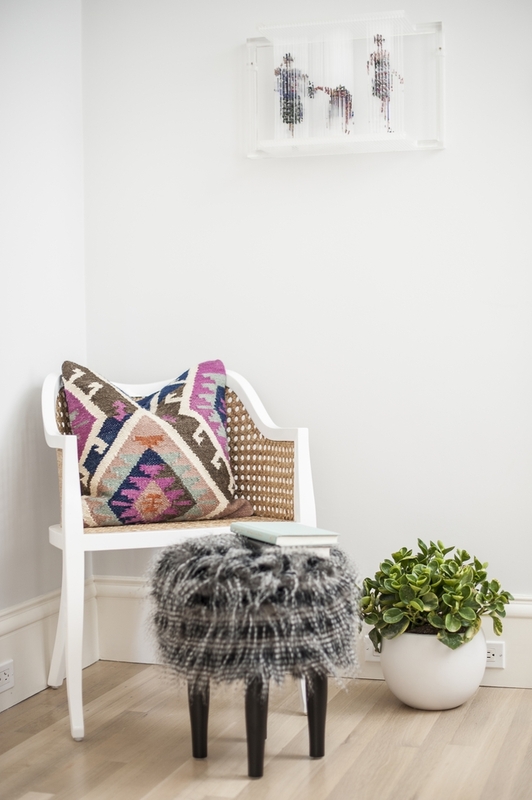 Similarly, the boucherouite rug in the front hallway came from a Morocco-based Etsy seller (why not go straight to the source?). " 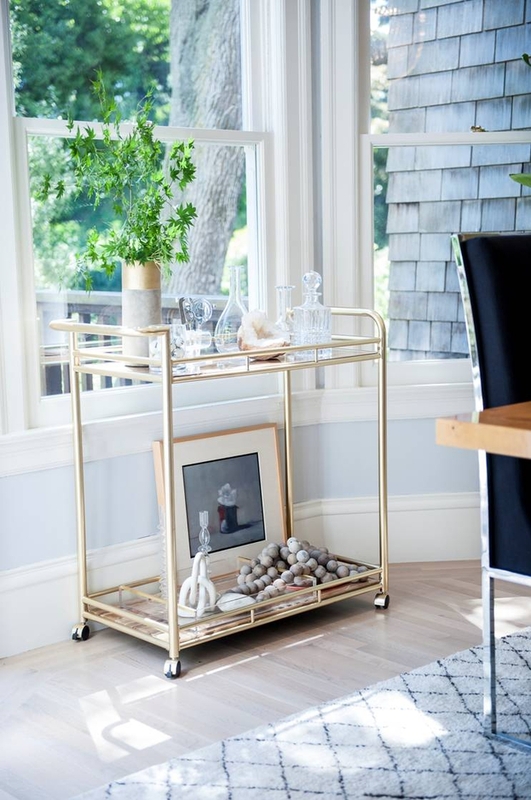 Feeling inspired now and want to update your own home decor? Start a Decorist design project today. We have over 400 designers who are at your finger tips and can help you, like Lisa, bring your design vision to life! Happy Decorating!